Chair since 2014 Jem has overseen the transition of the Sports Partnership Herefordshire & Worcestershire from a local authority hosted partnership to a company limited by guarantee. Most of Jem's working career has been in Local Government, following a short stint in the Armed Forces. 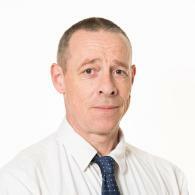 He has been directly employed in 4 Local Authorities but as a consultant has undertaken project work for over 60. Most of Jem's working history has been directly related to sport and leisure, initially in facility management but then moving into Sports Development and latterly into other areas of Council work. Every day – I still maintain that despite all the cuts in the public sector, I have one of the best jobs in local government, working closely with clubs, groups and individuals on a daily basis. Passionate about my dogs, specifically German Shepherds and Springer Spaniels. I love the outdoors whether just walking or engaging in Field Sports. In terms of Sports, rugby is king but sadly this is confined to watching. …..and my interest in Landrovers needs a mention! • Commissioning a set of high quality public health services such as sexual health, drug and alcohol services, school nursing, health visiting, NHS health checks etc. Public health roles within Herefordshire and Worcestershire NHS and local authorities since 2004, previously working at regional level in the West Midlands and the North East. Began career in University research. Developing a successful professional career in public health after spending 10 years at home with children. Personal interests and hobbies - Reading, yoga, family, walking. Greatest sporting moment – this might be a personal achievement or a memorable sporting highlight As a student (a very long time ago!) running a 5k City run with a blind friend. 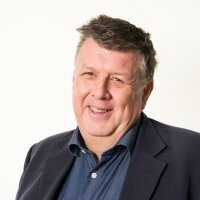 Former CEO of Worcester Warriors Jim has been a board member since July 2016. 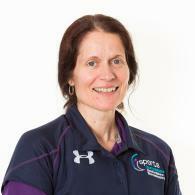 Susie is the Director of Sports Partnerships and Community Engagement for the University of Worcester. She was appointed as a board member in July 2016. 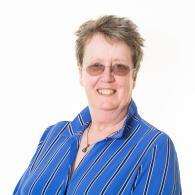 A board member since July 2016 Denise is the former now retired headteacher of Whitecross High School and Specialist Sports College in Hereford. Children & Young people and their health and wellbeing - physical and emotional. Greatest sporting moment - Attending the London 2012 Olympics & Paralympics. Particularly seeing the emotional connection between nationalities and the joy of sharing success. 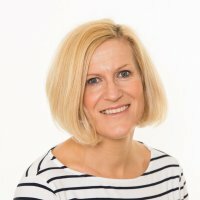 Rebecca was appointed to the board in July 2016 and is Managing Partner at Hallmark Hulme LLP Solicitors. 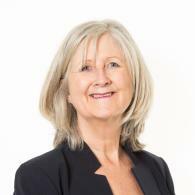 She is also Head of Civil Litigation and Compliance Officer for Legal Practice. Cycling is primary hobby but I have combined this with swimming and running to take up triathlons. I also do a lot of hill walking. I have been doing increasing amounts of fund raising in my spare time. Greatest sporting moment – Being a founder member of Worcester Womens Rugby team (now known as the Valkiries) 25 years ago and seeing the team progress to the premiership. 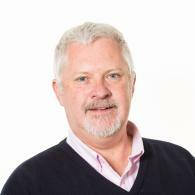 Alan is currently a freelance marketing consultant working with a range of businesses helping them develop effective marketing & communications strategies and programmes that deliver growth. Alan has had the pleasure and privilege of holding a number of senior marketing roles and working with some great marketing teams, most notably Lloyds TSB, The Home Office, Heritable Bank and Police Mutual. In addition Alan is also a non-exec director at BCRS - a socially responsible not-for-profit business lender and a Trustee for the Holst Museum Trust. To many to mention but watching my team win a prestigious award for marketing effectiveness would be a most recent highlight. Greatest sporting moment - Still waiting! But I was privileged to be in Sydney for the 2003 Rugby World Cup and 2000 Olympics. I also had the opportunity to coach the West Indies Test Cricket squad in the 1990's - and i don't play cricket!